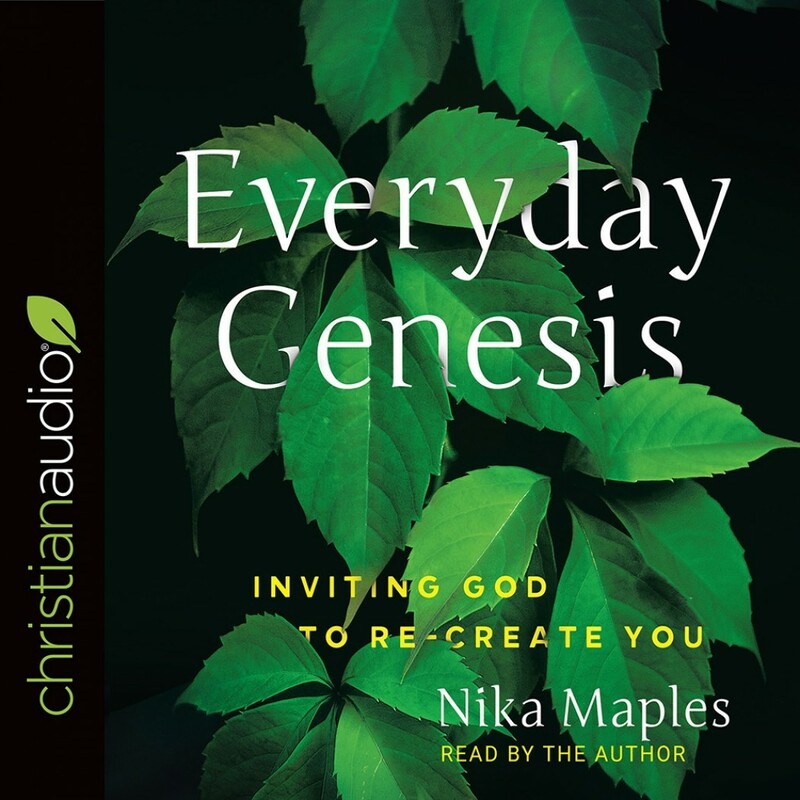 Everyday Genesis | Nika Maples | Audiobook Download - Christian audiobooks. Try us free. Insightful blogger, speaker, and author Nika Maples makes the connections between God's original creation and how He can permanently re-create us in our heart and spirit. Do you desire to change or completely start over? Starting over is not as difficult as we think. The Genesis account of Creation reveals a divine sequence, showing us the secrets to new life. When we invite the Creator to make us new, we release any blame and regret we carry and embrace His foundation for re-creation, a new life. There we find exactly Who was presiding over the genesis of the earth. He can re-create us with a similar process: first bringing us revelation, then giving us benefits such as purpose and guidance, and finally teaching us to build a legacy. Through the divine sequence of Creation, we can learn simple spiritual disciplines for abiding in Christ and staying in step with the Spirit. If we want to begin again, we start at the Beginning.